Criticism has been made of Scottish Borders Council for not giving enough information about the green impact of the planned Waverley rail link. Bosses of Scottish Natural Heritage (SNH) were appearing before MSPs examining the controversial proposals. They said they do not at present have enough information to assess the impact the railway would have on wildlife and natural habitats. SNH is particularly worried about the Tweed River Special Conservation Area. Conservationists reminded MSPs that the Edinburgh parliament has a legal duty not to pass the bill until they are certain the plans conform with laws on habitat protection. Before work can begin, the Scottish parliament has to pass a bill - which is being promoted by the local authority - giving planning approval. MSPs set up a special committee to take evidence on the scheme. 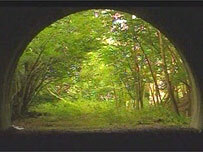 Plans to reopen the line were backed last week by ministers to the tune of £115m. But the Scottish National Party and the Greens said Transport Minister Nicol Stephen had left a £36m funding gap which would be hard to fill. And South of Scotland Tory MSP David Mundell warned at the time: "It would be unacceptable if any positive impact that the railway will bring could be offset by the financial burden of its construction being dumped on local taxpayers." But Borders Lib Dem MSP Jeremy Purvis said it was "a historic day" for those involved in the project. 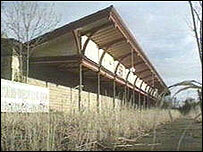 The line will need full Scottish parliamentary approval to meet a target opening date of 2008. The conditions attached to the executive's financial assistance included a need for the project's backers to come up with a "clear and comprehensive strategy" for managing the cost. It has been estimated that it would cost about £150m to get trains running on the track again, up by £20m on the previous projection. The line will run 35 miles (56km) from Edinburgh to south of Galashiels. The Waverley railway, which closed in 1969, had continued on through the Borders to Carlisle. 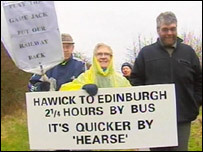 Campaigners hope to see the line from Tweedbank, near Galashiels, to Edinburgh, reopen by 2008. Supporters hope the line will eventually be reinstated to its full length. According to the Waverley Railway Project, the benefits of reopening the line include access to jobs in Edinburgh, extra local employment and more investment in housing.